Oppo is still releasing new smartphones with crazy specs. 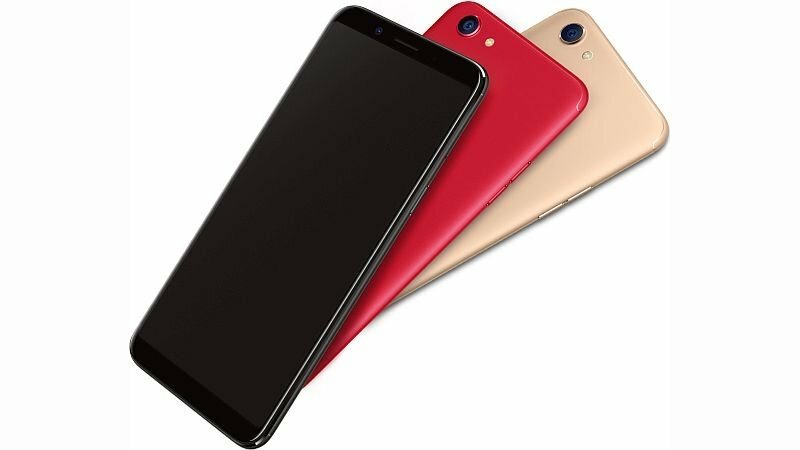 After releasing Oppo r11s few days ago, the company has unveiled the Oppo F5 with insane specs. Oppo F5 boasts of 16MP rear camera with a Led flash plus 20MP front facing camera for the selfie lovers. Spots a 6.0 inches 18:9 ratio screen display, 4G LTE enabled, fingerprint sensor, runs on Android 7.1 Nougat which is powered by MediaTek chipset. See the full specifications of the phone below. Price About 320 EUR / $372 USD / N133,000. Oppo F5 specifications, features, price. Oppo F5 released date, review, hands on, specs, price. Nothing crazy here only RAM and camera. One can't really enjoy the selfie when the battery drains quickly. The price is also expensive. Trust me, selfie cam is good. OPPO is a great brand. I know. The phone has gotten good RAM but it is a bit expensive. Oh Ok Yeah, I get it now bro, thanks. Meanwhile, I've created the Google account, had to go buy a new sim for it. The specs mad gan and the price isn't bad o.
lovely device ,it has good features but the battery is small.